Become a 2018–19 subscriber when you purchase 3 or more eligible concerts and enjoy exclusive benefits including unlimited no-fee ticket exchanges. Our all-Mozart evening reveals the composer’s genius. Manfred Honeck conducts the transcendent Requiem, with its darkly rich orchestration and otherworldly radiance; his captivating final piano concerto — autumnal, graceful, and serene, with soloist Richard Goode (“unfailingly beautiful tone” — The Washington Post); and more. Over the last quarter century, Manfred Honeck has firmly established himself as one of the world’s leading conductors, renowned for his distinctive interpretations and arrangements of a wide range of repertoire. 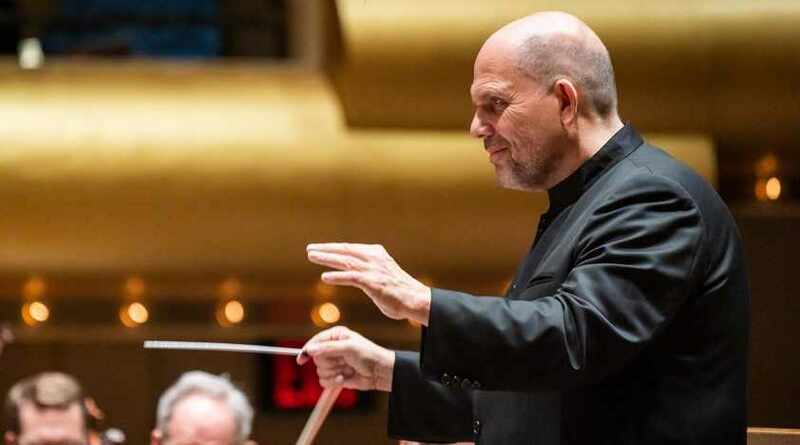 For more than a decade, he has served as music director of the Pittsburgh Symphony Orchestra, continuing a legacy of music-making that is celebrated at home, abroad, and on recordings, including the Grammy Award–winning recording of Shostakovich’s Symphony No. 5 and Barber’s Adagio for Strings (2018). 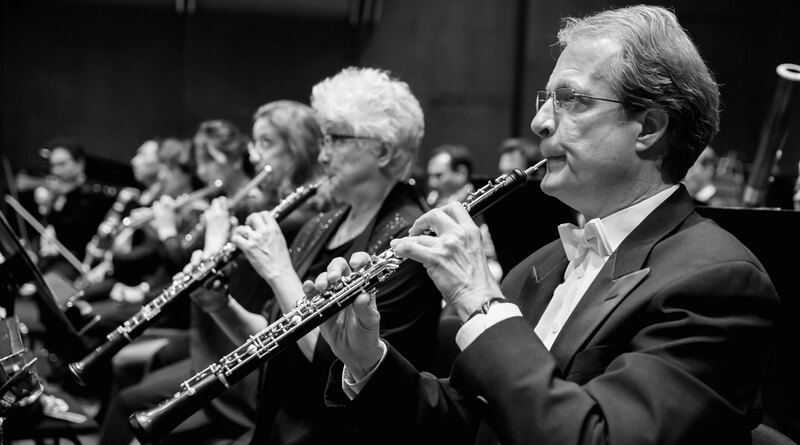 Together, Mr. Honeck and the Pittsburgh Symphony Orchestra have served as cultural ambassadors for the city as one of the most frequently toured American orchestras. In addition to performing at Carnegie Hall and Lincoln Center, the orchestra regularly appears in major European music capitals and at festivals — including the Beethovenfest Bonn, BBC Proms, Musikfest Berlin, Lucerne Festival, Rheingau Musik Festival, Grafenegg Festival, and the Salzburg Festival — and continues a close relationship with Vienna’s Musikverein. Born in Austria, Mr. Honeck received his musical training at Vienna’s Academy of Music and for many years was a member of the Vienna Philharmonic and the Vienna Staatsoper Orchestra. 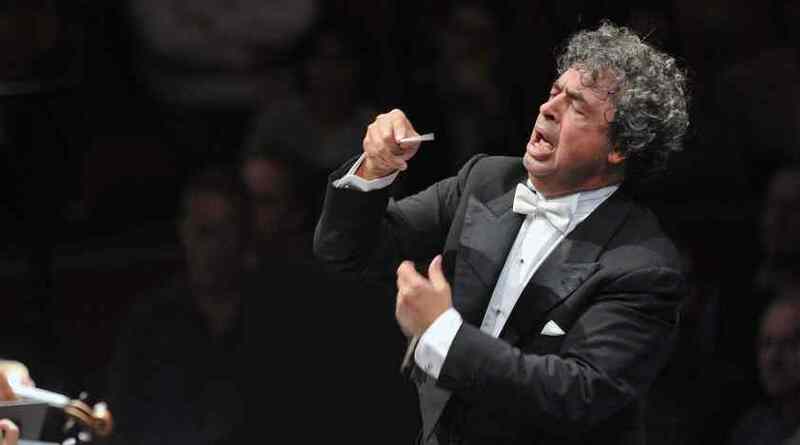 He began his conducting career as assistant to Claudio Abbado and was subsequently engaged by the Zurich Opera House, where he was bestowed with the prestigious European Conductor’s Award. Following early posts as one of three main conductors of Leipzig’s MDR Symphony Orchestra and as principal guest conductor of the Oslo Philharmonic Orchestra, he was appointed music director of the Swedish Radio Symphony Orchestra in Stockholm. For several years he also served as principal guest conductor of the Czech Philharmonic Orchestra. From 2007 to 2011 he was music director of the Staatsoper Stuttgart. Operatic guest appearances include Semperoper Dresden, Royal Opera of Copenhagen, and Salzburg Festival. As a guest conductor Mr. Honeck has worked with the Berlin Philharmonic, Bavarian Radio Symphony Orchestra, Leipzig Gewandhaus Orchestra, Dresden Staatskapelle, Amsterdam’s Royal Concertgebouw Orchestra, London Symphony Orchestra, Orchestre de Paris, Orchestra dell’Accademia nazionale di Santa Cecilia, and Vienna Philharmonic. He is a regular guest with all the major American orchestras, including the New York Philharmonic, The Cleveland Orchestra, The Philadelphia Orchestra, Los Angeles Philharmonic, and the San Francisco, Boston, and Chicago symphony orchestras. Manfred Honeck has received honorary doctorates from several North American universities and was awarded the honorary title of Professor by the Austrian Federal President. An international jury of critics selected him as the International Classical Music Awards 2018 Artist of the Year. Pianist Richard Goode has been acknowledged worldwide as one of today’s leading interpreters of Classical and Romantic music, hailed for music-making of tremendous emotional power, depth, and expressiveness and for bringing something fresh and revelatory to each work and each concert. 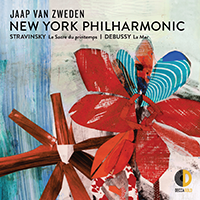 In regular performances with internationally leading orchestras, recitals in the world’s music capitals, and through his extensive and acclaimed Nonesuch recordings, the native New Yorker has won a large and devoted following. Among the orchestras with which Mr. Goode has recently appeared are The Cleveland Orchestra with conductor Mikko Franck, the Los Angeles Philharmonic with Andrew Manze, the New York String Orchestra with Jaime Laredo at Carnegie Hall, and the London Philharmonic Orchestra, Oslo Philharmonic, and BBC Philharmonic. One of today’s most revered recitalists, recent and upcoming performances include Lincoln Center’s Great Performers series and appearances in Montreal, Toronto, Philadelphia, Berkeley, La Jolla, and Madison, as well as London; the Pablo Casals Museum in San Salvador, Spain; the Verbier Festival in Switzerland; and other European capitals. Nonesuch Records is re-issuing Richard Goode’s highly-acclaimed collection of Beethoven: The Complete Sonatas to celebrate the 25th anniversary of its release: he holds the distinction of being the first American-born artist to record these works in their entirety. He also recorded Beethoven’s five piano concertos with the Budapest Festival Orchestra and Iván Fischer, and was featured with the orchestra during its 2017 U.S. tour. Also in 2017, Mr. Goode appeared as soloist with Louis Langrée and the Mostly Mozart Festival Orchestra, as well as in the documentary marking that festival’s 50th anniversary. A native of Bolivar, New York, soprano Joélle Harvey has established herself over the past decade as a noted interpreter of a broad range of repertoire, specializing in Handel, Mozart, and new music. She was the recipient of a 2011 First Prize from the Gerda Lissner Foundation, a 2009 Sara Tucker Study Grant from the Richard Tucker Foundation, and a 2010 Encouragement Award (in honor of Norma Newton) from the George London Foundation. The works of Mahler figure substantially in Ms. Harvey’s 2018–19 season engagements. 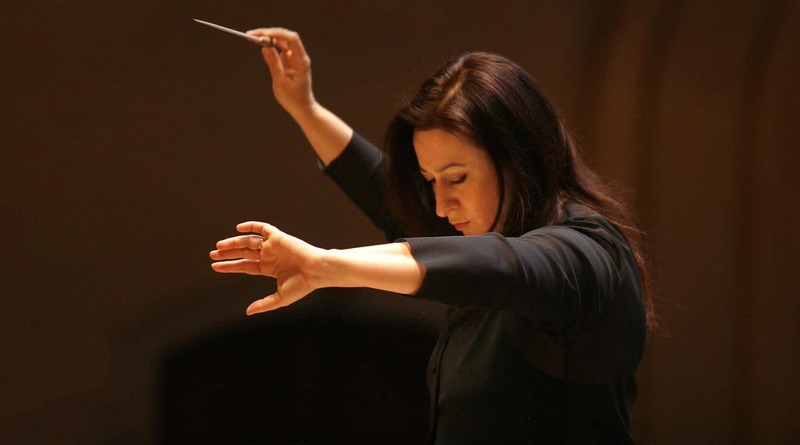 She returns to The Cleveland Orchestra as the soprano soloist in his Symphony No. 2, Resurrection, conducted by Franz Welser-Möst, both in Cleveland and on tour. She also performs the work for her Toronto Symphony Orchestra debut, in performances led by Juanjo Mena. With the San Diego Symphony, she reunites with conductor Edo de Waart for Mahler’s Fourth Symphony on a program that also features Barber’s Knoxville: Summer of 1915, and Mahler’s Eighth Symphony is the vehicle for her return to the Los Angeles Philharmonic at the Hollywood Bowl, singing the “Mater Gloriosa” in performances conducted by Gustavo Dudamel. Also during the season she will be presented by Carnegie Hall in recital with pianist Allen Perriello as part of the Great Singers: Evenings of Song series. With the British ensemble Arcangelo and artistic director Jonathan Cohen, Ms. Harvey will tour several US cities. Other appearances this season include the New York Philharmonic (for the Mozart Requiem), Utah Symphony (Beethoven’s Ninth Symphony), Saint Paul Chamber Orchestra (Bach’s St. John Passion), North Carolina Symphony (Mozart arias and Mass in C minor), Indianapolis Symphony (Bruckner’s Te deum), Music of the Baroque (J.S. Bach’s Coffee Cantata), and Handel and Hadyn Society (the Mozart Requiem). Mezzo-soprano Megan Mikailovna Samarin was featured at Houston Grand Opera (HGO) for the fourth consecutive season as Sesto in Handel’s Julius Caesar and as Carla Mae in the world premiere of Ricky Ian Gordon’s The House Without a Christmas Tree. She made her Mercury Orchestra debut in Loving Clara Schumann, joined the Lexington Philharmonic for Joaquín Rodrigo’s Retablo de Navidad, and returned to Wolf Trap Opera as Idamante in Mozart’s Idomeneo. Additional concert appearances include Wolf Trap’s Aria Jukebox Concert and Vocal Colors Recital at the Philips Collection, and The Richard Tucker Music Foundation Rising Stars Concert. Her other roles have included Siébel in Gounod’s Faust, Olga in Tchaikovsky’s Eugene Onegin, Lady Columbia in the World Premiere of Gregory Spears and Royce Vavrek’s O Columbia, Lady Maresvale / Revels in the world premiere of Carlisle Floyd’s Prince of Players, Third Wood Nymph in Dvořák’s Rusalka, Second Lady in Mozart’s The Magic Flute, and Johanna in Stephen Sondheim’s Sweeney Todd at HGO. She has also performed Baronessa Aspasia in Rossini’s The Touchstone, and Son in Philip Glass and Robert Moran’s The Juniper Tree at Wolf Trap. She made her Glimmerglass Festival debut as Marzia in the U.S. premiere of Vivaldi’s Cato in Utica and sang Angelina in HGO’s 60th Anniversary Concert featuring Joyce DiDonato, Romeo in Bellini’s I Capuleti e I Montecchi in concert at Aspen Music Festival, and Grieg’s song cycle Haugtussa at the Rienzi Mansion Recital. Ms. Samarin is a 2017 Gerda Lissner Foundation International Vocal Competition Second Place winner, and performed at Carnegie Hall for the Gerda Lissner Foundation Winners Concert. She is recipient of the 2016 Sara Tucker Study Grant Award, 2017 Metropolitan Opera National Council Auditions District Award, and the 2014–16 Shoshana Foundation Richard F. Gold Career Grant. She was a finalist in HGO’s Eleanor McCollum Competition Concert of Arias. In the 2017–18 season American tenor Ben Bliss will sing the role of Ferrando in Mozart’s Così fan tutte at The Metropolitan Opera, Seattle Opera, and Oper Frankfurt. He also makes his Opera Philadelphia house debut as Tamino in Mozart’s The Magic Flute, and sings the role of Cassio in Verdi’s Otello with the Atlanta Symphony Orchestra. In addition, he also returns to Santa Fe Opera in his role debut as Robert Wilson in John Adams’s Dr. Atomic in a production directed by Peter Sellars, and performs Handel’s Messiah with the New York Philharmonic. Ben Bliss’s 2016–17 season included a U.S. recital tour with pianist Lachlan Glen, with stops at Carnegie Hall, the Folly Theater in Kansas City as part of the Harriman-Jewell series, and the Theater of the Arts at the University of District of Columbia as part of the Vocal Arts DC Emerging Artists series. Mr. Bliss’s operatic appearances included returns to The Metropolitan Opera, first as Tamino and then as Steuermann in Wagner’s The Flying Dutchman, conducted by Yannick Nézet-Séguin. Other opera appearances included Belmonte in Mozart’s The Abduction from the Seraglio with Atlanta Opera; Tom Rakewell in Stravinsky’s The Rake’s Progress in his role and house debuts with Boston Lyric Opera; and Camille, the Count de Rosillon, in Lehár’s The Merry Widow in concert for his house and role debut with the Gran Teatre del Liceu in Barcelona. British bass Matthew Rose studied at the Curtis Institute of Music before becoming a member of the Young Artist Program at the Royal Opera House, Covent Garden. In 2006 he made his Glyndebourne Festival debut as Bottom in Britten’s A Midsummer Night’s Dream (John Christie Award), a role he has since sung at Milan’s Teatro alla Scala, Royal Opera, Covent Garden, Opéra national de Lyon, Houston Grand Opera, and The Metropolitan Opera. Recent engagements include Baron Ochs in Richard Strauss’s Der Rosenkavalier for Lyric Opera of Chicago and Royal Opera; Raimondo in Donizetti’s Lucia di Lammermoor for Royal Opera; King Marke in Wagner’s Tristan und Isolde for English National Opera; Masetto and Leporello in Mozart’s Don Giovanni and Oroveso Norma Bellini’s Norma at The Met; Leporello in Dresden; and Grande Inquisitore in Verdi’s Don Carlos for Deutsche Oper Berlin. He has sung with the London Symphony Orchestra with Colin Davis, Daniel Harding, and Michael Tilson Thomas; Los Angeles Philharmonic with Gustavo Dudamel; Dresden Staatskapelle with Charles Mackerras; BBC Symphony Orchestra with Andrew Davis, Jiří Belohlávek, and Marc Minkowski; London Philharmonic Orchestra and Philadelphia Orchestra with Yannick Nézet-Séguin; Boston Symphony Orchestra with Charles Dutoit; Accademia Nazionale di Santa Cecilia with Antonio Pappano; Deutsches Symphonie-Orchester Berlin and Kent Nagano; and London Philharmonic Orchestra and Vladimir Jurowski. This season’s concert appearances include Berlioz’s L’Enfance du Christ with the BBC Symphony Orchestra and Edward Gardner, Haydn’s Nelson Mass with the London Symphony Orchestra and Francois Xavier-Roth, and Mozart’s Requiem with the New York Philharmonic and Manfred Honeck. Mr. Rose has given recitals in the Brighton, Chester, and Cheltenham international festivals and at Amsterdam’s Concertgebouw, London’s Wigmore Hall, The Kennedy Center, and Carnegie Hall. His recordings include Schubert’s Die Winterreise, with pianist Gary Matthewman, and Schwanengesang with Malcolm Martineau (Stone Records), and Arias for Benucci with Arcangelo and Jonathan Cohen (Hyperion). Recognized as one of the world’s leading choral ensembles, the Westminster Symphonic Choir is composed of students at Westminster Choir College of Rider University in Princeton, New Jersey. It has recorded and performed with major orchestras under many internationally acclaimed conductors over the past 85 years, and the choir has sung more than 500 performances with the New York Philharmonic alone. 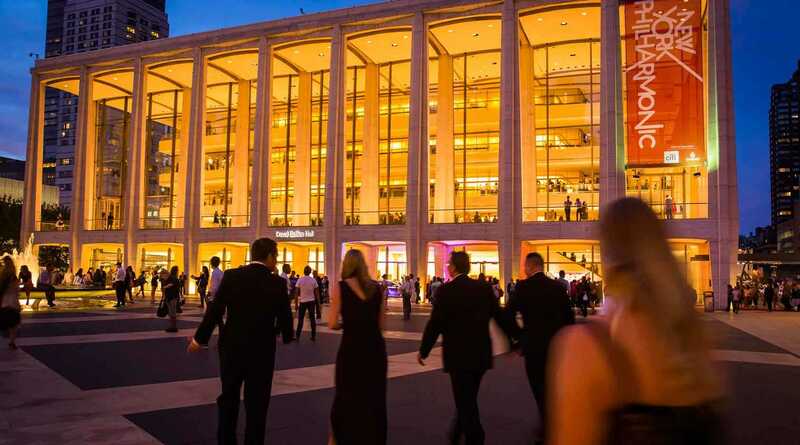 In addition to performances with the New York Philharmonic in Handel’s Messiah and Mozart’s Requiem (conducted by Manfred Honeck), the ensemble’s 2018–19 season includes Handel’s Messiah with The Philadelphia Orchestra conducted by Yannick Nézet-Séguin; Mozart’s Requiem with The Philadelphia Orchestra conducted by Bernard Labadie; and an evening of opera choruses with the Westminster Festival Orchestra conducted by Joe Miller. Recent seasons have included Bernstein’s MASS with The Philadelphia Orchestra and Yannick Nézet-Séguin, also recorded and released on the Deutsche Grammophon label; Villa-Lobos’s Choros No. 10 with the Simón Bolívar Symphony Orchestra of Venezuela and Gustavo Dudamel; and Christopher Rouse’s Requiem with the New York Philharmonic and then Music Director Alan Gilbert. Westminster Choir College is a division of Rider University’s Westminster College of the Arts, which has campuses in Princeton and Lawrenceville, New Jersey. A professional college of music with a unique choral emphasis, Westminster prepares students for careers in teaching, sacred music, and performance. Joe Miller is conductor of two of America’s most renowned choral ensembles — the Westminster Choir and the Westminster Symphonic Choir — and is director of choral activities at Westminster Choir College of Rider University. Dr. Miller is also artistic director for choral activities for the Spoleto Festival USA and director of the Philadelphia Symphonic Choir. His 2018–19 season with the Westminster Choir includes concert tours in China, Texas, and Oklahoma; performances and broadcasts at its home in Princeton; an annual residency at the Spoleto Festival USA; and the release of a new recording titled Frank Martin: Mass for Double Choir. As conductor of the Westminster Symphonic Choir, Dr. Miller has collaborated with some of the world’s leading orchestras and conductors, earning him critical praise. Dr. Miller is also founder and conductor of the Westminster Summer Choral Festival, a program that offers professional-level choral and vocal artists the opportunity to explore challenging works for one week each summer on the Westminster campus in Princeton. The Donna and Marvin Schwartz Virtuoso Piano Performance Series has provided major support for Richard Goode’s appearances during the New York Philharmonic’s 2018–19 season. This concert is made possible with support from the Helen Huntington Hull Fund. Manfred Honeck’s appearance is made possible through the Charles A. Dana Distinguished Conductors Endowment Fund. Generous support for the March 13 concert is provided by Mrs. Daniel Cowin.